If you’re reading this post, you are probably looking for ways to leave your city for an exciting weekend getaway in a new place. As a young professional working on the East Coast, I TOTALLY understand this feeling. During a busy week, I’m always looking for ways to escape the office for a bit and avoid burnout at work. Sometimes, a weekend trip full of new experiences is all it takes to rejuvenate the body and the mind. 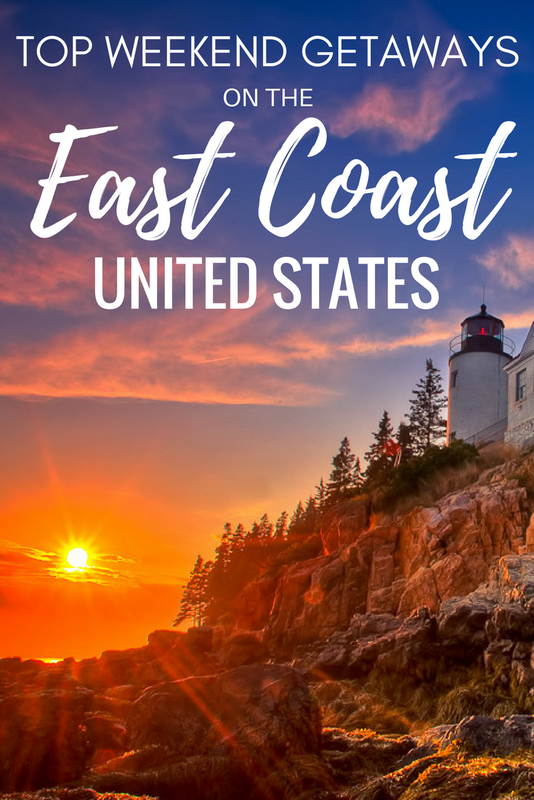 To help my fellow full-time professionals working on the East Coast, I researched and compiled this list of the most beloved weekend getaways on the East Coast. If you’re feeling the stress of work and life weighing on you, treat yourself to one of these 20 amazing getaways to start feeling refreshed. This post may contain affiliate links. If you make a purchase with these links, Jetfarer may receive a small commission at no additional cost to you. As always, we only work with affiliate partners we use and love. The first time I went to Savannah, Georgia, the thing that surprised me most was the moss in the trees. I’d never seen anything like it – the spooky way the gray strands hung from the branches in the live oak trees, especially when shrouded in the fog of the morning. 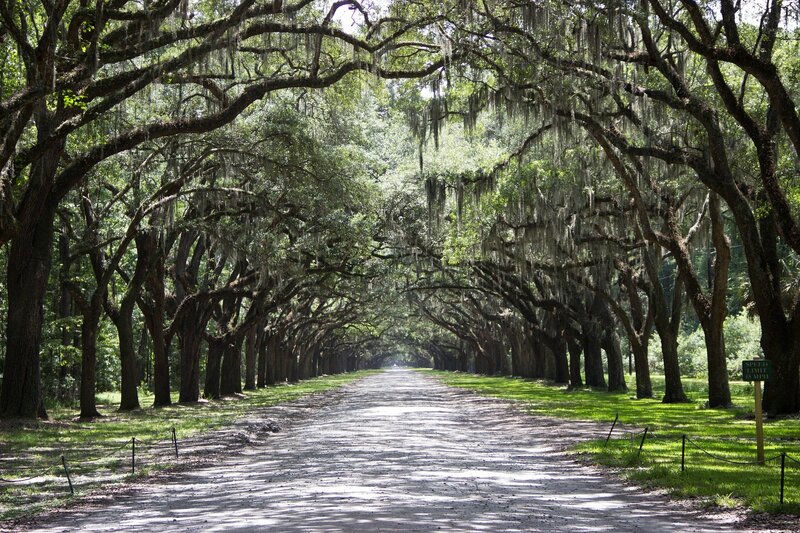 Of course, there’s a lot more to Savannah than moss. 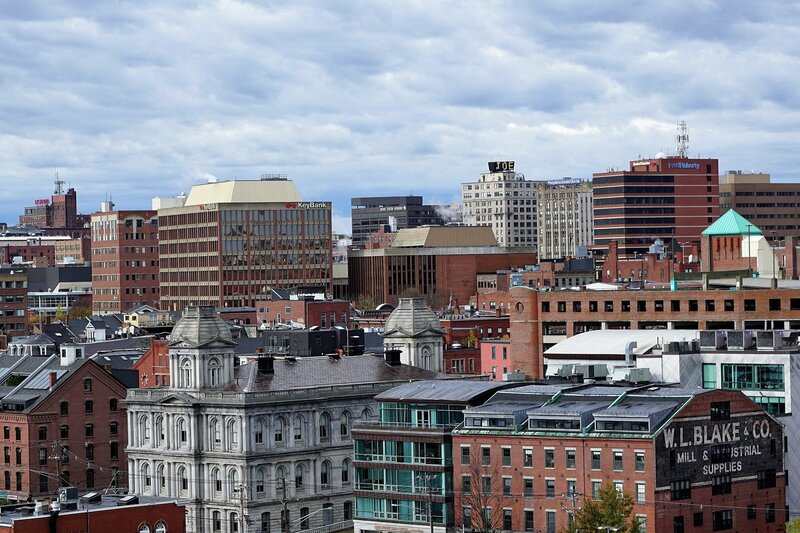 This city is one of the most historic places in the US, and also supposedly one of the most haunted. Here, there’s no shortage of charming bed and breakfasts, cute shops and market stalls by the riverfront, among many other things to do on a weekend in Savannah. Spend a weekend meandering through some of the old neighborhoods in the city, taking a walking ghost tour, or simply sipping on a coffee and people-watching by the river. A Traditional Savannah Bed and Breakfast: As a typical southern city, Savannah is full of old bed & breakfasts that travelers can rest their heads in. These usually consist of an old, Southern-style home with renovated bedrooms turned into guest rooms. If you’re looking for an authentic bed & breakfast experience in Savannah, the Justine Inn is super cute and cozy, and offers great value for your money. A Historic Inn: Savannah is full of historic buildings, many of which have been converted into hotels. The Marshall House is a lively, historic boutique hotel located in the heart of the city that many travelers enjoy. Looking for other accommodation options in Savannah? Book here now! 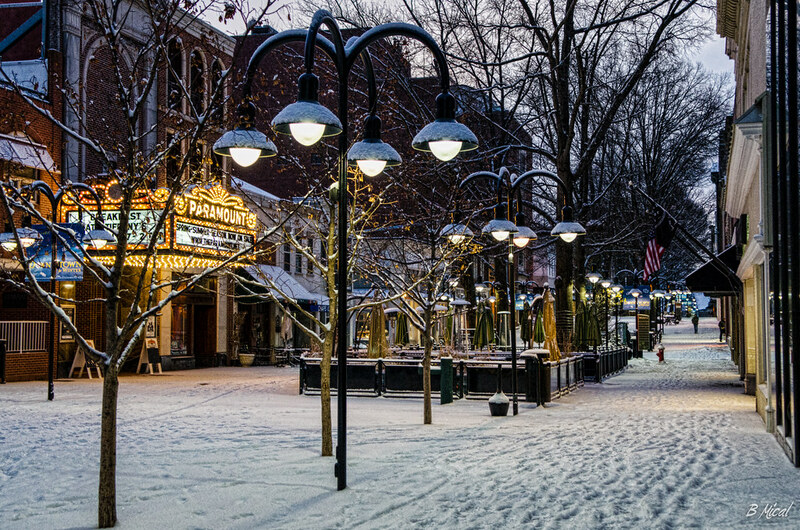 With its charming streets surrounded by gorgeous mountains, Asheville is quite possibly the perfect place for a weekend getaway on the East Coast. I spent two blissful days in the Asheville area, and I found it to be quite an unusual oasis that’s otherwise in the middle of nowhere. Situated in a perfect vantage point in the mountains, we enjoyed some beautiful hikes and drives on the Blue Ridge Parkway. In the evenings, we sipped on local cocktail specialties and ate AMAZING farm-to-table foods and delicious North Carolina style BBQ. There are also great options in the area to plan a romantic east coast weekend getaway. I loved Asheville so much I decided to plan a trip there again this summer, to hang out in the city’s awesome open-air venues and do a bit more hiking in more balmy temperatures. I can’t be sure, but I’d willing to bet Asheville is even more amazing in the warm East Coast springtime. A Traditional Asheville Bed & Breakfast: If you want to get a very local Asheville experience, staying in a Bed & Breakfast is one of the best ways to do it! For a cozy, homey good night’s rest, the Princess Anne Bed & Breakfast is a traveler favorite. A Boutique Inn: As a popular stop on East Coast road trips, Asheville has a bunch of larger hotels available at budget prices. One of the top-rated, locally-owned Asheville inns is the Albemarle Inn. It’s built in a beautiful, southern-style plantation home and looks comfortable and inviting. Looking for other accommodation options in Asheville? Book here now! Just a few hours from Washington, DC lies Shenandoah National Park, a beautiful mountainous expanse in western Virginia. Whenever I’m feeling stressed and want to disconnect for a while, I pack my backpack and head here. The Appalachian Trail passes right through the park, with miles of hiking trails that are accessible to anyone passing by. Within the park, and directly outside of it, there are camping areas, lodges, and parking areas for camper vans – perfect for a weekend trip in the wild, without having to drive too far from civilization. 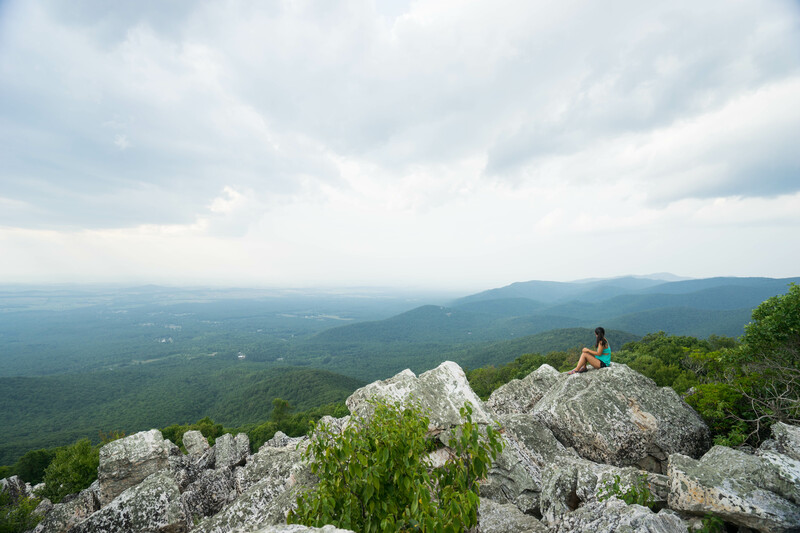 If hiking and camping doesn’t strike your fancy, you can enjoy the picturesque drive through the park on the famous Skyline Drive. There are scenic viewpoints every few miles where road trippers can watch the sunset or have a picnic. Taking a hop-on-hop-off bus to the different wineries and breweries in nearby Crozet offers cool respite from the sun (with beverages and snacks to boot!). Camping: The best way to experience the park 24 hours a day is to camp. There are a variety of campsites operated by the National Parks Service available in Shenandoah National Park, many of which have both advanced reservation sites and first-come first-serve spaces. Nearby Hotel or Inn: If you don’t feel like sleeping in a tent during your few days off, I don’t blame you. There are loads of inns and hotels in nearby towns available to stay in, many at affordable prices. These accommodations are just a short drive from the park entrance. Several travelers in the area recommend Caledonia Farm -1812 Bed & Breakfast in Flint Hill, VA. Situated on a quiet farm, it’s a great place to unwind after long days of hiking, driving, and exploring the park. Looking for other accommodation options near Shenandoah National Park? Book here now! As a laid-back city that’s very much the opposite of Washington, DC, I find myself wanting to stroll through the colored homes and brick sidewalks of Annapolis quite often. Some weekends, I’ll drive out there simply to catch a whiff of the sea air and drink a coffee. The bottom line? Annapolis is a true gem that’s accessible from most of the major cities in the northern East Coast. In Annapolis, you can sip on seafood soup, or try on some handmade shoes. Peruse an art shop, or stroll through the colored neighborhoods by the waterfront. Get your camera ready, folks – Annapolis is truly a picturesque weekend getaway on the east coast. Bed and Breakfast: You can’t go wrong with a quaint bed and breakfast, and in Annapolis, they are aplenty. One of the best (and most colorful) B&B’s in the city center is the Academy Bed & Breakfast. Just look at it! It’s so cute! Historic Inn: There are a handful of cute, charming historic inns lining Annapolis’ cobblestoned streets, and a weekend getaway is the perfect excuse to check one out! Travelers in the area highly recommend the State House Inn. 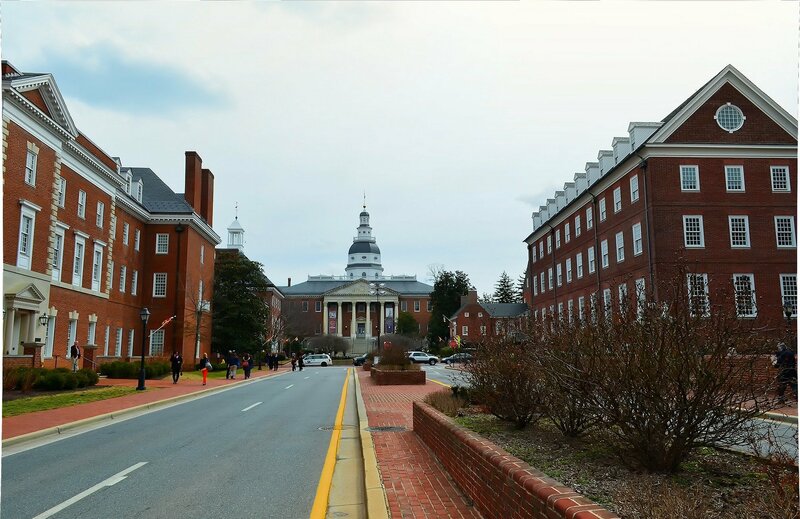 Looking for other accommodation options in Annapolis? Book here now! Many people rave about the Portland of the west, but the Portland of the east is equally as wonderful. On a weekend in Portland, you can drive around the coast to see some of the amazing historic lighthouses, or same lobster dishes and craft beer in the city (a Maine specialty). Additionally, the farmer’s market in Portland is one of the most well-known in the East Coast, and happens year-round. Hostel: Budget travelers, you’re in luck! Portland, Maine just opened its first hostel, the Black Elephant Hostel. Le gasp! They are brand new and don’t have a ton of reviews yet, but it looks like a pretty chic and interesting place to stay. Charming Inns: Everything about Portland is charming, and the locally-owned accommodations are no exception. If you’re planning a stay in Portland, the Inn at St. John provides comfortable accommodations at a great value. Upscale Boutique Hotels: The locally-owned boutique hotels in Portland tend to run a bit on the pricier side, but if you’re in a YOLO, treat yo’self mood, they’re beautiful, bright, and cozy. One of the most well-known and highest rated boutique hotels in Portland is the Portland Harbor Hotel. Looking for other accommodation options in Portland? Book here now! Stowe, Vermont might be one of the only places on our list that’s actually most wonderful to visit in the fall or winter. 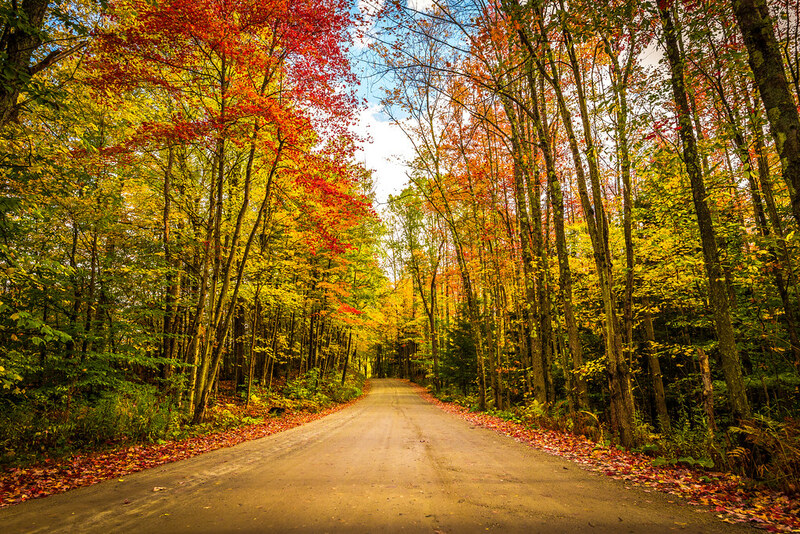 September and October bring gorgeous fall colors – reds, oranges, and yellows – to the surrounding forests and hills, while the winter brings snow and some of the best slopes for skiing on the East Coast. Verdant forests and outdoor activities like hiking greet tourists in the spring and summer. If you’re looking for a truly varied year-round east coast destination, Stowe is the perfect place for you. For a closer look, read what Amy of Two Drifters has to say about Stowe, Vermont as a perfect romantic weekend getaway! Central Hotels: There are a few hotels located in the center of the Stowe village area. The coziest-looking (and, coincidentally, the most highly-rated) hotel is a Bed & Breakfast-style hotel called Green Mountain Inn. Lodges and Resorts: Located a bit further out from the city center, these ski lodges are best for people who want to shred the slopes or spend some time in a bit quieter of a scene. Open year round, one of the most beloved resorts in the area is the Stowe Mountain Lodge. Looking for other accommodation options in Stowe? Book here now! Saint Simons is a small island off the coast of Georgia, where many local people have summer homes. 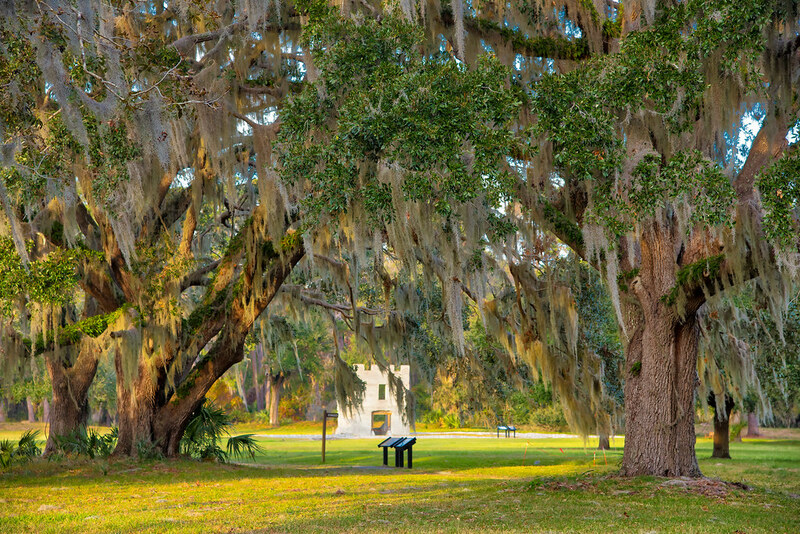 It’s quiet – the perfect place for a weekend respite – and home to miles of beaches and historic sites like Fort Frederica and the lighthouse. Perhaps the most unique thing about Saint Simons island is its lovely driftwood beach. Spanning for miles, this beach is full of warped driftwood pieces, some the size of entire trees. It’s such a unique and romantic place to walk around and snap a few photos. Beach Inns and Hotels: If you’re choosing a getaway in Saint Simons Island, it’s probably because you want to be near the beach. Why not treat yourself to a beachfront hotel to seal the deal? The King and Prince Beach & Golf Resort is one of the best and most charming beach hotels you can find on the island. Ocean Condos and Rentals: As with many beach towns across the East Coast, it’s popular to rent a condo instead of a typical hotel, especially if you are traveling in a group. The Ocean Lodge is the perfect condo-style resort for groups of friends or families. Looking for other accommodation options in Saint Simons Island? Book here now! West Virginia is often known for its historic coal mining operations and its rock climbing, but there are also some amazing hiking and skiing opportunities, too. Within West Virginia, Harper’s Ferry (a national historic park) is a cute little town to visit, marked by Civil War landmarks, brick houses, and sweeping industrial bridges. 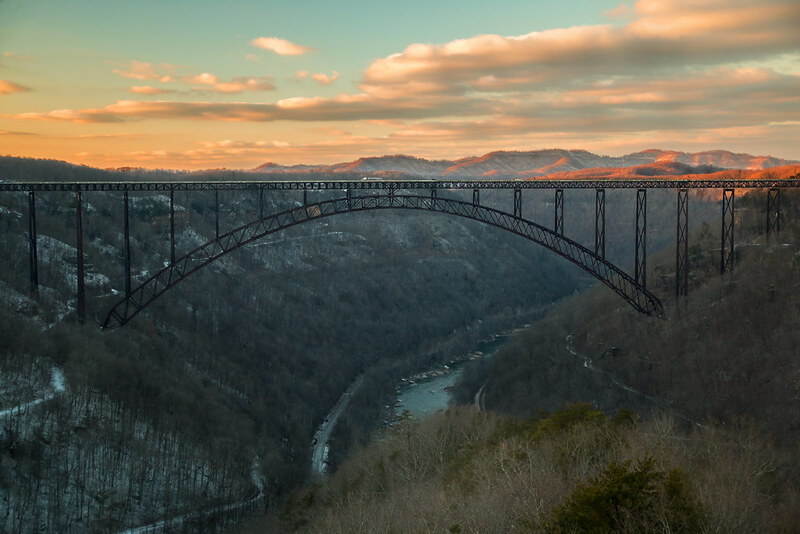 The nearby New River Gorge shouldn’t be missed either, a magnificent structure built atop a staggering valley. If you’re looking for mountains and woods, West Virginia is an easy and accessible weekend getaway. For more tips on things to do in Harper’s Ferry, head to the NPS website. Camping: If you enjoy the outdoors and want to spend every last waking hour in it, camping is the best option for you. There are a variety of campsites available for tents and vans near both Harpers Ferry and New River Gorge. Bed & Breakfasts (Harpers Ferry): Accommodation options in Harpers Ferry are somewhat sparse, but there are a few cozy inns and bed & breakfasts to try. For those of you who want to stay local, the Light Horse Inn is one of the most highly rated properties in the area. With its sunny yellow decor and bright windows, it’s no wonder why! Looking for other accommodation options near Harpers Ferry? Book here now! 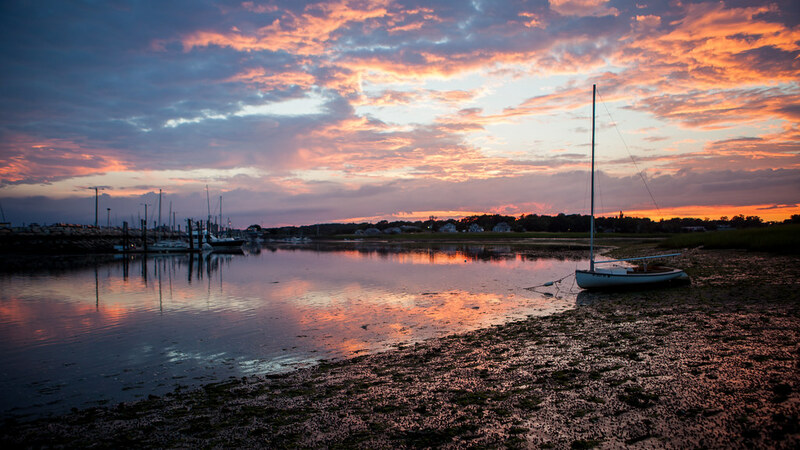 With its tranquil atmosphere and abundance of New England-style homes, Cape Cod is a gem on the coast of Massachusetts. The miles of beaches here are perfect for wandering around for hours with a loved one. Moreover, there are plenty of wonderful seafood restaurants, golf courses, lighthouses, and shopping areas to explore. After staying in Cape Cod for a work event for two weeks, I fell in love with the colorful, beautiful sunsets and the quiet calm of the area. It’s truly one of the most ideal places for a weekend getaway on the East Coast. Hostels: Backpackers rejoice! There’s an affordable, clean, and well-located HI Hostel in Cape Cod (Hyannis) for solo or ultra budget travelers. Budget Inns: If you want to save on your weekend excursion and are just looking for a bed to sleep on, the Hyannis Travel Inn is a great value for money. Beach Resorts: While beach resorts in Cape Cod are a dime a dozen, the Seaglass Inn in Provincetown seems to be the crowd favorite, and it’s just a 4-minute walk to the beach. Looking for other accommodation options in Cape Cod? Book here now! One of South Carolina’s first cities, Charleston captures the charm of a Southern town and mixes it up with the color and quaintness of a modern-day city. While here, explore wacky colorful homes on Rainbow Row, or check out some of the historic landmarks like the bridges or the lighthouse. If you’re a serious foodie, all-you-can-eat oysters await you at Bowens Island Restaurant, or sample southern soul food at one of the many locally-owned institutions. Charleston, SC is a classic weekend city break escape with a Southern twist. Want more information? 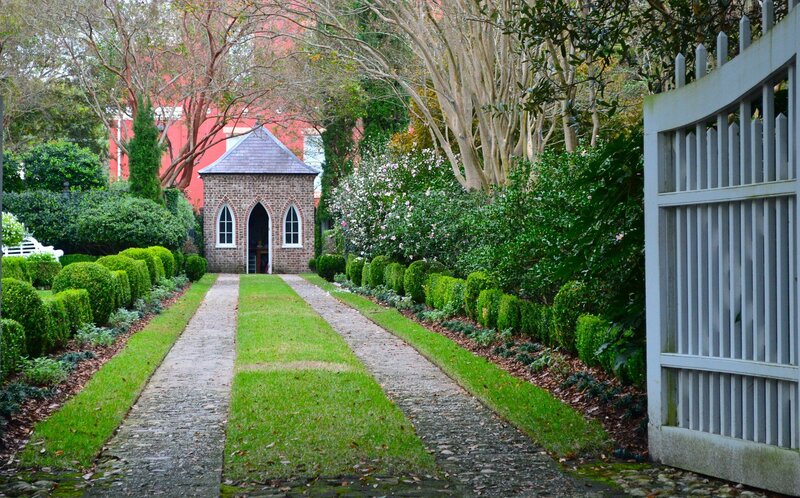 Here are 101 things to do in Charleston, SC! Budget Bed & Breakfasts: For travelers on a bit more of a budget, one of the best locally-owned, budget-friendly inns is the Barksdale House Inn. Chic Boutique Hotels: Charleston is home to some really nice, upscale digs, and if you’re looking for a weekend full of comfort and luxury, there are some great places where you can find it. One of the most chic and best-ranked boutique hotels in Charleston is the The Spectator Hotel, but there are a handful of other beautiful choices. Looking for other accommodation options in Charleston? Book here now! Drive just a few hours from Philadelphia, Pittsburgh, or Washington, DC and you’ll land smack dab in the heart of Amish country – Lancaster County, Pennsylvania. Here, you can relax in a cabin, go hiking to a nearby waterfall, or take a short steam train ride through some of the most beautiful parts of the area. Dutch Country aside, there’s also an amazing food scene in the area, with fresh farm-sourced options, and dozens of wonderful drives and hiking trails in the surrounding areas. Want to learn more? I loved this article on 15 things to do in Lancaster County. Locally-Owned Digs: Lancaster, PA is home to lots of old, brick hotels that you can stay in during your visit. A few of the nicest ones include the Lancaster Arts Hotel, which is housed in a regal brick building and boasts beautiful, well-designed interiors. Looking for other accommodation options in Lancaster? Book here now! 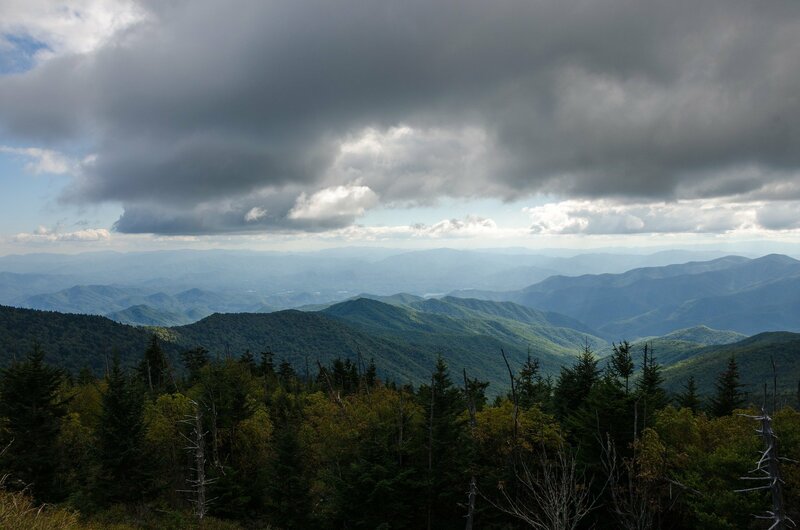 One of the most highly trafficked National Parks in the country, Great Smoky Mountains National Park is a wonderful place to get some fresh air and enjoy the outdoors for a weekend. Why Smoky? Because, if you get up early enough on a clear day, you can watch the sunrise over misty, fog covered valleys. Here, hiking trails through craggy rocks, expansive valleys, and waterfalls are common. You can also go white water rafting in the nearby Pigeon River. For a few special weekends in the summer, one of the most interesting natural phenomena in this part of the world occurs – the fireflies in the Great Smoky Mountains have synchronized displays. I can’t wait to head to the park one summer and see this spectacle for myself! Camping: One of the best ways to see the national park, especially during firefly season, is to camp. There are several campsites available in the park, both by reservation and first-come first-serve. You can find additional information and the list of available campsites on the National Park Service’s website. Pigeon Forge, TN: On the Tennessee side of the park lies a small town called Pigeon Forge, where there are a handful of hotels and lodges. One of the most beloved of these hotels in Pigeon Forge is the Twin Mountain Inn & Suites. However, you can browse and book the wide number of accommodation options in Pigeon Forge here. Asheville, NC: See accommodation options in Asheville above (#2). Looking for other accommodation options near Great Smoky Mountains National Park? Book here now! With many parts just a short train ride or drive from New York City, Upstate New York is the city dweller’s perfect respite. With the striking Catskills mountains nearby, the topography makes for some lovely views year-round. In the fall, the leaves turn vibrant colors, illuminating the surrounding farmlands, waterfalls, hiking trails, and scenic drives. It’s easy to rent a cabin somewhere in Upstate New York and simply relax for a weekend, basking in the enjoyment of not doing much of anything. There are many different areas of Upstate New York you can visit. Some of the most popular areas include the Catskills, Lake Placid, Ithaca, and Syracuse. During the summer, you can also find open campgrounds in many of the more popular outdoor and hiking areas. In the summer, Bethany Beach becomes a hotspot for beach activity on the East Coast, with families flocking to its shores to rent a house for a week and relax. Vibrant boardwalks, kitschy golf courses, pretty lighthouses, and miles of sandy coast line make up this beach town, and its charm is mainly in enjoying the atmosphere. If you get bored of Bethany, nearby Ocean City and Rehoboth offer even more miles of sun and sand. Pack up from nearby Newark, New York, Philadelphia, Baltimore, or Washington, DC and head for a relaxing weekend where the sounds of the ocean surround you. House/Condo Rentals: Many visitors to Bethany Beach opt to rent a house or a condo, especially if they’re with a group of friends. Sites like VRBO and Airbnb can help you find a place that suits your squad. Beachfront Resorts: If you prefer a more traditional hotel setting, don’t fear. There are plenty of resorts in the area near the beach. 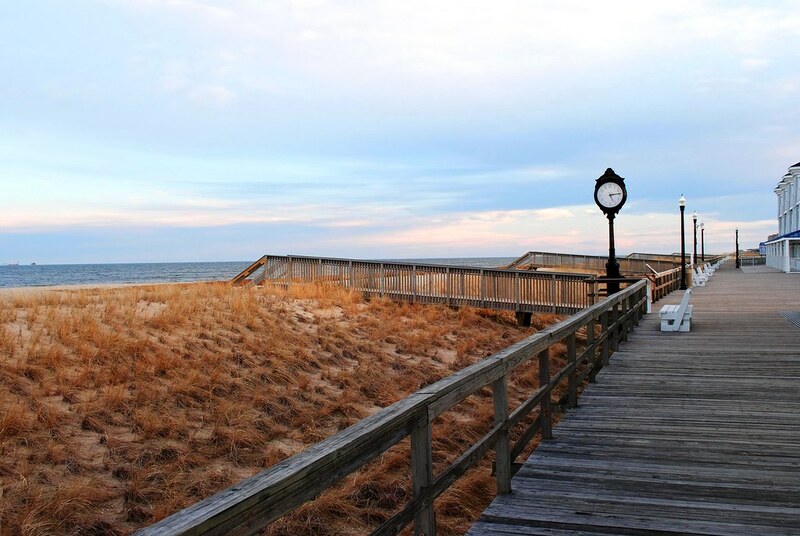 Many travelers recommend staying at the Bethany Beach Ocean Suites by Marriott. Looking for other accommodation options in Bethany Beach? Book here now! Charlottesville, Virginia is a mountain city steeped in history, culture, and nature, and is the perfect place to spend a weekend. 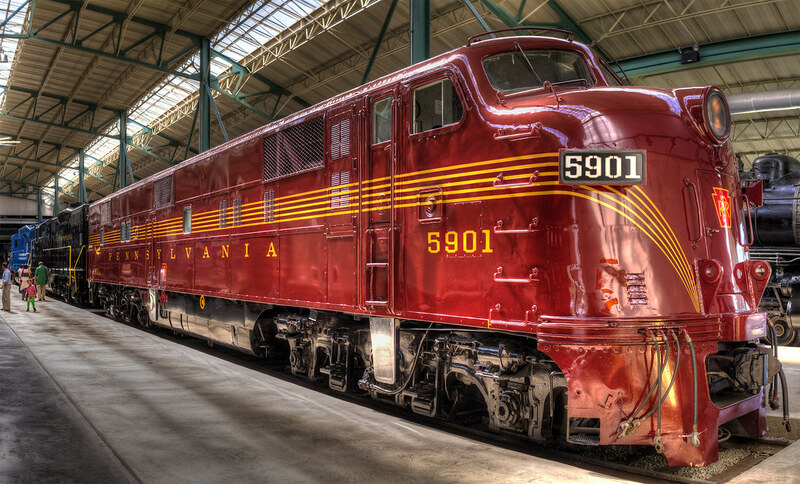 Accessible from Virginia, DC, and even areas like Baltimore and Philadelphia, a weekend in Charlottesville can be one of many different things. With dozens of vineyards surrounding the city, you can sample wines and enjoy the nearby rolling hills. Or, if adventure travel is more your thing, try hiking, mountain biking, or skiing in the nearby mountains. In the evenings, peruse the Downtown Mall, or simply go stargazing in some of the dark areas nearby. Charlottesville is also home to Monticello. If you didn’t know, Monticello was Thomas Jefferson’s home, and while he (and many plantation owners) owned a ton of slaves, it’s still a historically significant landmark that’s worth a visit. Historic Plantation Inns: Located farther outside of Charlottesville are some inns built in historic homes and plantations. One of the most popular and historic inns available to stay in is the Inn at Monticello. University Hotels: A bunch of new and stylish affordable hotels are popping up in Charlottesville due to the growing demand of visitors in the area. A hotel fairly close to the city center, the Graduate Charlottesville is located near the University of Virginia, a gorgeous, tree-lined area that’s accessible to all of the main tourist attractions of Charlottesville. Looking for other accommodation options in Charlottesville? Book here now! I look back at summers of my childhood in the Outer Banks quite fondly. My family and I would pile into our van, rent a house for a week, and hang out with friends, whiling away our days on the sandy beaches, exploring a historic lighthouse, or playing mini golf at a cheesy dinosaur course. Now that I’m back on the East Coast, I’ve been longing to return, even if just for a weekend. 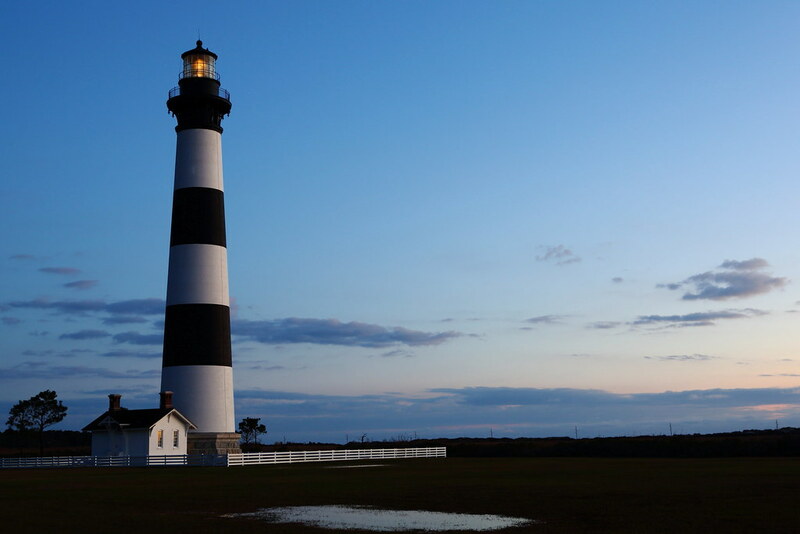 With several different islands and regions, the Outer Banks, or OBX, is a fantastic weekend getaway on the East Coast for people who like a bit of energy mixed with a bit of relaxation. There are several regions of the Outer Banks that are popular with visitors, especially in the summer. Some of the most easily accessible areas are Duck, Kitty Hawk, Nags Head, and Corolla. While vacation rentals are the most popular form of accommodation, there are also hundreds of hotels you can choose from in any area of the islands. The White Mountains in New Hampshire are quite possibly some of the East Coast’s best-kept secrets. Although this is a year-round destination, the best time to visit is quite possibly in the fall, when the leaves change colors in the most vibrant ways. Grab a cabin or a room in an inn or lodge, sit back, and enjoy the fall colors in this gorgeous landscape of mountains and valleys. Local Inns and B&Bs: To visit the White Mountains, there are many small towns you can base yourself in in Maine and New Hampshire. In Jackson, NH, the Inn at Thorn Hill is a popular and highly-rated choice. Looking for other accommodation options in the White Mountains? Book here now! Key West is one of America’s favorite vacation hotspots, but I’d be remiss if I didn’t include it on a list of East Coast weekend getaways, too. With its aquamarine water, its luxury resorts, and its nightlife (something lacking in many of these other places), it’s definitely a weekend getaway for the more high-energy of us. Hop on a boat, ride a jetski, or just watch the world go by for a weekend in one of the most beautiful beach areas of the United States. Beach Resort: In Key West, there’s really no where else you’d want to stay other than in a beach resort. The Douglas House is a highly-recommended hotel with a pool and cozy residences that are within walking distance of the beach. 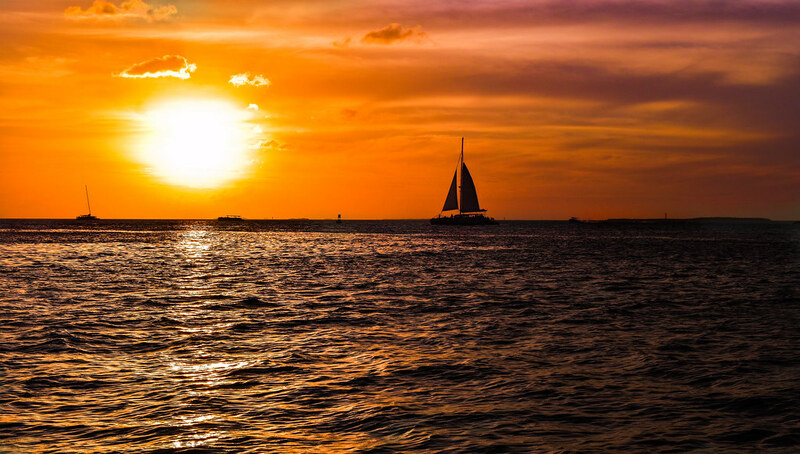 Looking for other accommodation options in Key West? Book here now! Renowned by many as one of the most beautiful parks in the country, no weekend getaways list for the East Coast would be complete without Acadia National Park. With its stunning shoreline, beautiful hiking trails, amazing stargazing options, and picturesque historic sites, Acadia is a treat for all of the senses. And the sunsets? Super beautiful. It’s not super easy to get to – a few hours by car from Portland, Maine – but it’s worth it for anyone who truly wants to unplug amidst some of the most beautiful nature the United States has to offer. Camping: There’s no better way to see ANY national park, much less one as stunning as Acadia, than camping. Inside of the park, there are several campsites you can stay in by reservation or walk-in. You can find more information about campsites and reserving your space at Acadia National Park here. Cozy Lodges: If you’re not up for camping this time, the best area to stay near Acadia National Park is a town called Bar Harbor, ME. There are a variety of lodging options in the town, but one of the coziest and best-rated mid-range hotels is the Bar Harbor Inn. 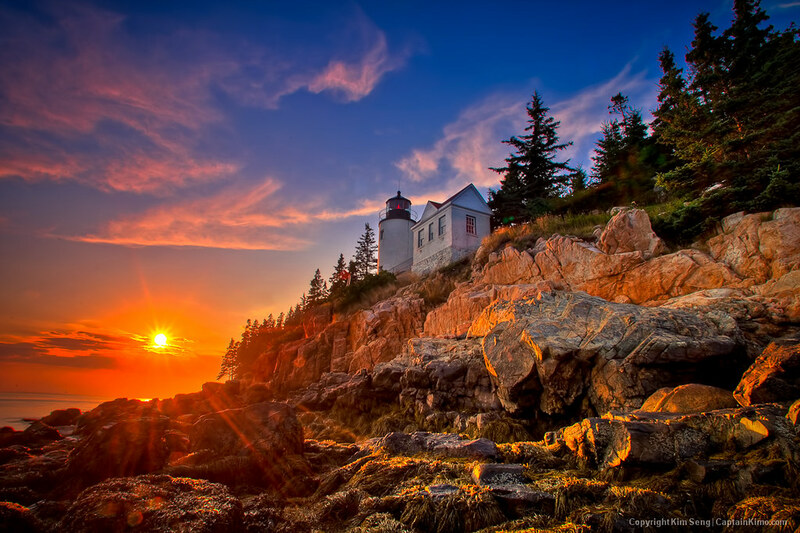 Luxury Hotels: The Bar Harbor area is home to some luxury hotels as well. However, if you’re going to stay at any of these upscale properties, the best one is the Bar Harbor Grand Hotel. Looking for other accommodation options near Acadia National Park? Book here now! These little things are popping up everywhere – tiny homes that range in location from the inner cities to the middle of the woods. Companies like Getaway.House are capitalizing off of this trend and provide luxury “glamping”-type experiences in their tiny homes outside of Washington, DC and Boston. Additionally, you can find independently run tiny homes, or rent an owned tiny home on Airbnb. These homes are so unique, they’re worth a weekend trip just to stay in one and learn what it’s like to live tiny. for current prices, packages, and special offers. Thinking of going camping but don’t know what to bring? This camping packing list has everything you’ll need! As always, keep yourself covered with travel insurance from World Nomads! I always make sure to purchase World Nomads before almost any trip, because it’s great to have the peace of mind that I’m protected in the event of any kind of emergency, big or small. Did you enjoy this post? Pin it below to save it for later! Is your favorite destination featured on our list of weekend getaways on the East Coast? Join the discussion with your fellow Jetfarer community members and ask your travel questions in our fabulous Facebook group!